For those of you who don’t know you Mike, can you please tell us a little about yourself. My name is Mike Benke, I am a Hungarian Freediver living in Manchester, UK. I am 49 years old. I train with my Coach Steve Millard of Apneists UK for many years now. 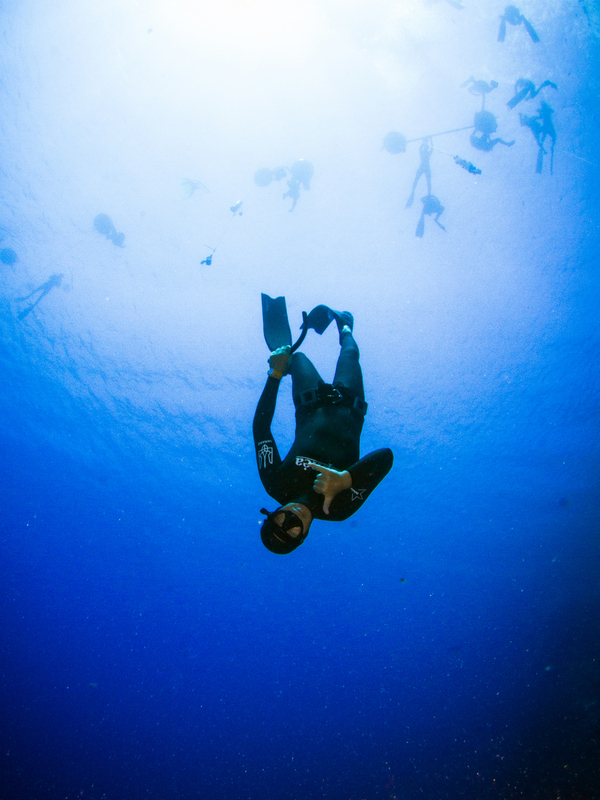 How did you get into Freediving in the first place? 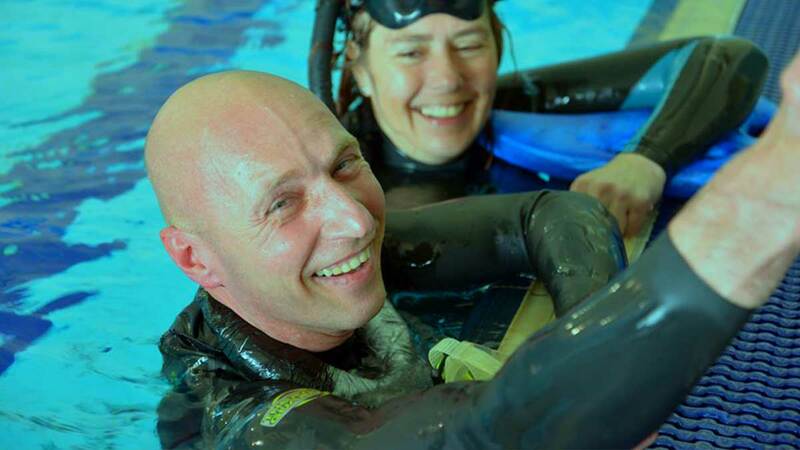 I was a Scuba instructor, so when I came to the UK I joined a Scuba school in Manchester where Steve was the Manager. I did some Scuba trips but really was intrigued by what the Freedivers were doing in the club. It looked like a real sport rather than a hobby. It interested me as I have participated in sport to a high level before, being the National Hungarian Champion in Modern Pentathlon many years ago, and I still felt up for a challenge. Who is your hero in the sport and why? William Trubridge. 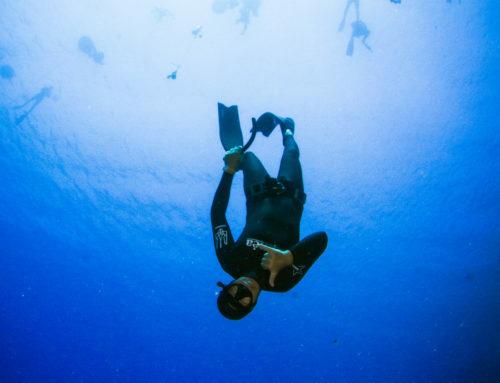 As well as enjoying the no fins disciplines, and he leads the way in depth, I am also impressed about the way he portrays the sport of Freediving in his videos and article releases. They are truly impressive, and help to get many more people into the sport. He is an inspiration to me. What is your greatest personal achievement in the sport of Freediving? My four Hungarian records, and also the second place I achieved in the Great Northern International Competition in Liverpool. What is your favourite discipline, or type of Freediving? I really enjoy the no fins diving. It is a pure way of diving. What do you think about, and how does it feel on a big performance dive? I try and empty my mind, and relax. Focus on good sensations, when negative sensations come, try and relax and think of positive thoughts, and forget any negative thoughts. It’s all about relaxing throughout every part of the dive, and enjoying the really good bits. Outside of Freediving itself, what discipline / sport / activity do you do that that helps your Freediving the most? If I have to pick one type of training only, then swimming helps me the most. It gives you a feel for the water, and makes you feel at home and really works the muscles in the right way. Where is the most beautiful place you have dived or your most memorable dive? Dahab. I love the warm clear water, I love the relaxed atmosphere. It is a true joy diving there. For success in Freediving competitions and records, what do you think are the most important things for an aspiring diver to do to be successful? Consistent training. That is the main key to success. And other things obviously but if I had to pick one. Pick a club and Coach that allow this progression as I have done. Red letter day experiences and quick holiday courses cannot provide the opportunities to improve to high levels or even enjoy the sport properly. Can you Freedive and then find a club? Or is it better to learn to Freedive and then find a holiday? The second one is true. Do you have any solid goals in 2014 / 2015? I want to continue to improve in the pool, I am competing in the Manchester competition on the 29th November at Grand Central pool ( https://www.freedivingcompetition.com/stockport-2014.html ) but I have an eye on really improving my depth disciplines. Training in the UK can be difficult when based so far from deep water. But I will fit depth training in anytime I can, and hopefully do a couple of Apneists UK trips and clinics abroad to help me. I have an Aqua Sphere mask, and an Aqua Sphere winter Aqua Skin suit, it is by far the best suit I have ever worn. It helped me to my recent Hungarian Dynamic National record. I have owned a Leaderfin Hyper and an old waterway mono fin. But the record was done in a Starfin. I’m looking to invest in a new fin in 2015.